Arthur Frommer gets married in Las Vegas. 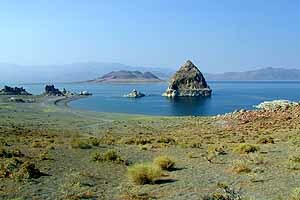 Is there any more beautiful sight than the first glimpse of Pyramid Lake? The pyramid is near the lake’s southeastern shore, Anaho Island, with its pelican rookery, is just beyond on the left. 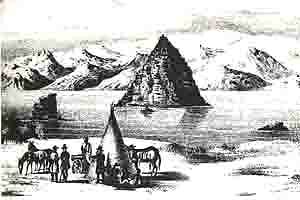 John C. Fremont paused by the pyramid in 1844. Nowadays the 33-mile drive to Pyramid Lake from Sparks (it’s 16 miles from Wadsworth on I-80) carries you through the slurb spreading north through a succession of shallow depressions between low, brush-stubbled hills. After a dozen miles the urban fringe is left behind and when the last rise is topped, the eyesearing expanse of Pyramid Lake stretched out before you is a stunning, staggering sight: a sheet of electric blue cupped between pastel mountains of chalky pinks and greys. The cultural museum at Nixon maintains changing displays. Pyramid Lake is not like Tahoe. 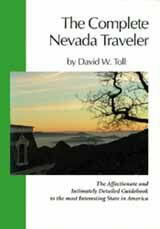 It is shallower, warmer, and substantially more alkaline than Tahoe, lower in elevation, and not so easily accessible. But these differences are not the decisive ones. Tahoe is charmingly beautiful. Pyramid is a shock; in addition to its primitive, challenging beauty, it projects a profound sense of antiquity. Gazing out across its surface is an experience almost four-dimensional and the past is very much present here. Not just the past represented by the Pyramid that prompted Fremont to name the lake, but the ancient past, beyond history. Roy Hicks measures and determines the gender of cui-ui fish during the spring census as they swim up the Truckee River to spawn. Pyramid is home to the unique and endangered Cui-ui, a bottom swimming lunker dating back into prehistory. Pyramid is a favorite hunting ground for the fishermen who wade out deep and cast for trout even in wintry weather. In ancient times this fishery was a magnificent survival resource. For a while, when the first wave of white settlers came, it was big business. 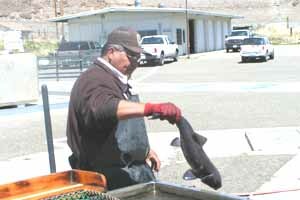 Commercial fishermen harvested 100 tons of trout between winter 1888 and spring 1889, for shipment all over the U.S. By 1912 a local entrepreneur was hiring as many as 50 Paiute fishermen to catch and ship from ten to fifteen tons of trout a week for sale in the southern Nevada mining camps. Cutthroat trout season opens October 1 and extends through June 30.
for the endangered Cui-ui is prohibited year around except for Tribal members. There are two fish hatcheries at the lake, one for cui-ui, the other raising and readying cutthroat trout for introduction into the lake. 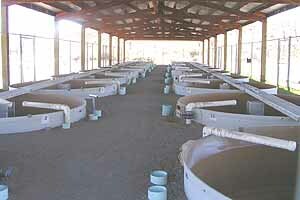 At the larger Numana Hatchery south of Nixon eggs from spawning adults are taken and raised to fingerling size. Tours are offered when staff is available, and your guide will probably be a tribal member (call 775-574-0500 for tour schedules). Tours are available at the Numana Hatchery on the Truckee River south of the lake. 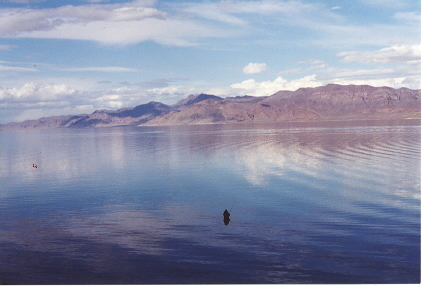 The Numana Hatchery is near the site of the first Battle of Pyramid Lake. In May, 1860, some men at Williams Station, a trading post, saloon and stagecoach station on the Carson River, kidnapped and raped two 12-year-old Paiute girls. A force of Paiute men from Pyramid Lake then raided the station and rescued the girls, killing five of their tormentors and burning the buildings. A single survivor escaped to Carson City and passed the alarm: Indian Massacre! A force of 105 volunteers was hastily assembled from Carson City, Silver City, Gold Hill and Virginia City. Major William Ormsby commanded the volunteers, leading them into an ambush about five miles south of the lake. Numaga’s Paiute fighters killed more than 70 of the white men, including Major Ormsby, and the rest ran for their lives. The namesake pyramid is a tufa formation like the one in the foreground. In June a force of regular soldiers from California, including an artillery piece, attacked the Paiutes and drove them away from the lake until an informal truce was effected in August. These battles prompted the establishment of Fort Churchill on the Carson River. 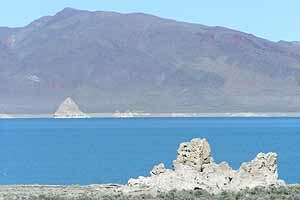 So Pyramid Lake is not only quite beautiful, largely undeveloped and thus unspoiled, it is also a significant historical locale and well worth a visit. 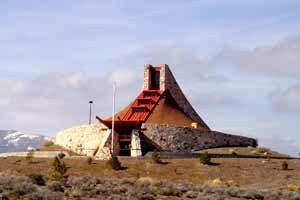 Fishing, camping and day-use permits are available at the Ranger Station just south of Sutcliffe on the lake’s southwest shore, at the convenience stores in Nixon and Wadsworth, or at any Long’s Store in Reno and Sparks. 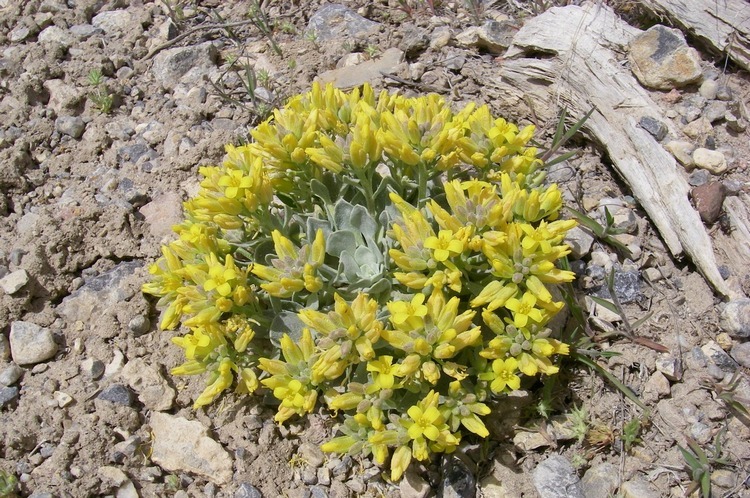 Quick notes from beyond the mountains: The Nevada Commission on Tourism launched a new adventure competition in Winnemucca May 6-7 called The Nevada Passage Wide Open. 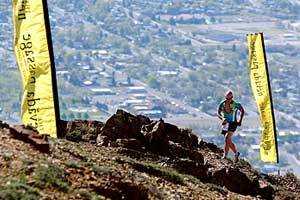 It only took Ken Robins of Cutchogue NY 36 minutes and 25 seconds to scramble up Winnemucca Mountain. The Saturday event included mountain bike racing and kayaking on the Humboldt River. On Sunday, competitors navigated their own route to the summit of Winnemucca Mountain during an off-road “scramble run.” The 2-day event also included an ATV jamboree at Winnemucca’s Regional Raceway. Participants brought their own ATVs to participate in an ATV pull, ATV sand drags and a rodeo skills event in which they maneuvered around and over obstacles. The results are here . . . So many starry-eyed visitors have converged on Lovelock to lock their love in the little park behind the court house that they ran out of padlocks. There’s a new shipment just in ($15 and $7.50 plus tax) so you can make the grand gesture next time you’re on I-80 . . . The 440-room MontBleu Lake Tahoe, the former Caesars Tahoe, made its official debut on May 24, 2006 with seven restaurants, four ‘nightlife venues’, a 40,000 square-foot remodeled casino, a brand new poker room and a luxurious spa. 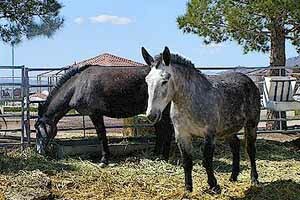 . .
Jack and Jill are the official greeters at the Longstreet Casino Resort on the California line at Amargosa Valley, about ten miles from Death Valley Junction. Here’s some fun for southern Nevada: On June 24 the “Mountain Men”, a group from Las Vegas, are coming again to Beaver Dam State Park to present living history demonstrations starting at 10:00 am in Campground “B”. They’ll tan hides, shoot 50-cal. black-powder muzzle loaders, and prepare lunch in Dutch ovens for all to enjoy at a small cost. The campgrounds at the park were not affected by the flooding last winter, and the gravel road to the park is in good condition. Camping space is available at the regular rate of $10 per vehicle, per night; if you come just for the day, pay the regular park entrance fee of $4. The park is about 30 miles east of Caliente via a well-graded gravel road. For more details call 775-728-4460, the Regional Information Center at Cathedral Gorge State Park . . .
Job’s Perk at The Carson Valley Inn, Minden. Eat your heart out, Starbucks: Job’s Perk, the espresso shop at the Carson Valley Inn in Minden has expanded its seating area, its menu and its offerings. 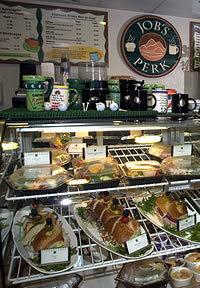 Yes you can have your usual latte, cappuccino or mocha, but your choices don’t stop there. You can also have wine by the glass or bottle, a variety of beers, canned cocktails, wine coolers and champagne splits. Muffins, cookies, cakes, cheesecake, and other sweet bites are available, and so are vegetable and power juices, a variety of carbonated and flavored waters, milk, more soft drinks and energy drinks. And for that matter so are sandwich wraps, fruit and cheese platters and convenience-style gourmet delicacies along with salad and sandwich selections, smoothies, non-fat frozen yogurt, hot dogs, chili, and hot soup. Open daily from 6 a.m.